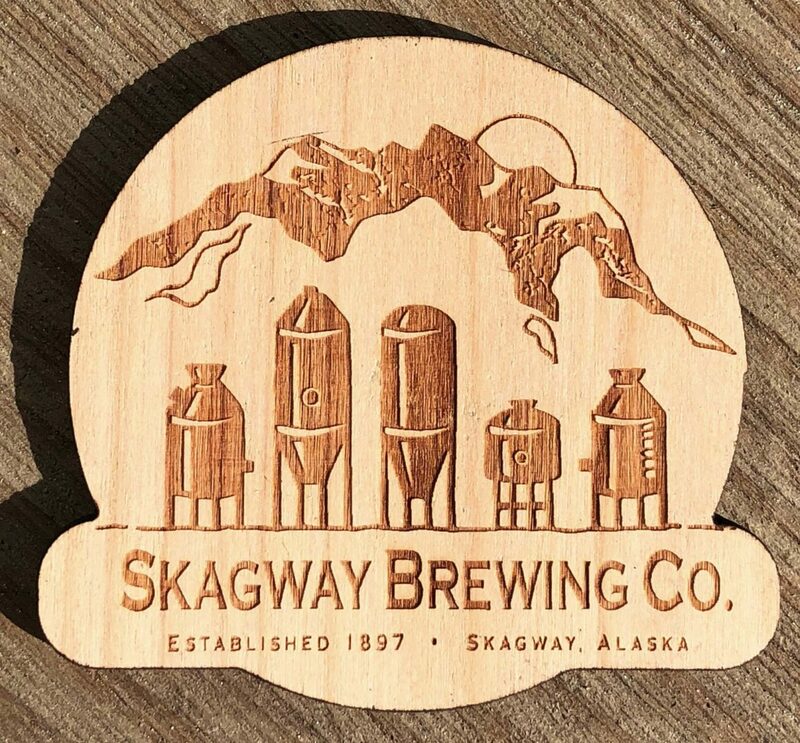 Real cherry wood Skagway Brewing logo magnet. 3″ in size. For every magnet purchased a tree is planted!